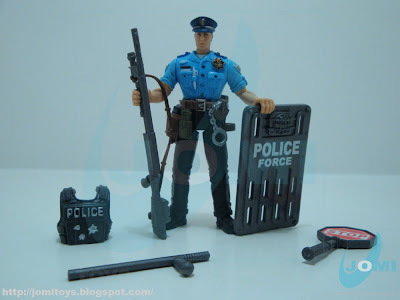 Yet another item from Police Force vs Bad Guyz. 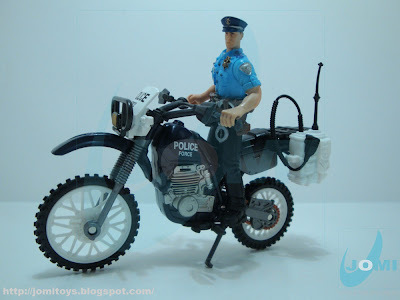 This Off-Road bike is a great improvement since the endlessly used previous model (bootleg JP version). The moment I saw this item, the movie "Clear and Present Danger" came to my thought. 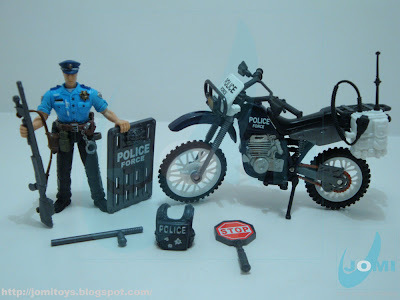 Police bikes are usually big city "metropolitan cop" models. Big and heavy. You get a lot of interesting items here. 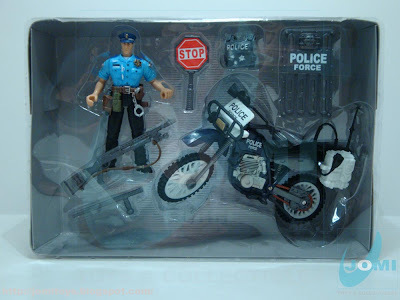 The bike itself is a good catch, the figure is a must, and the rest... well, to the parts container. Hoping to get a 5" line someday to inherit all these guns and items. 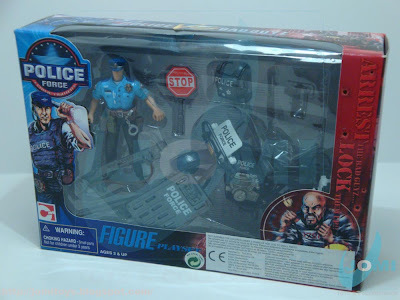 The figure: Officer Hammer. Like I said, an absolute must. 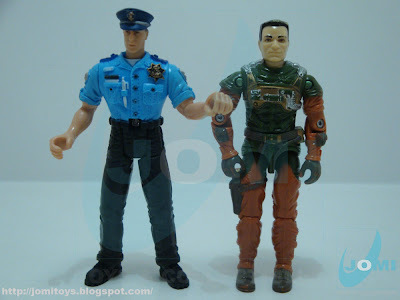 The size is a lot more balanced, the shoulders are not as wide as one usually sees in CM universe. As customizable as it could be. 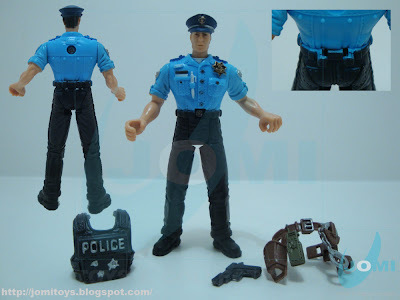 Very nice belt/holster, vest and an interesting detail: The pegs/tips used to hold the belt are now in a "hook" shape. Probably to get it tighter and prevent the belt from snapping out. Maybe. Hopefully, CM keeps up getting closer... and closer. 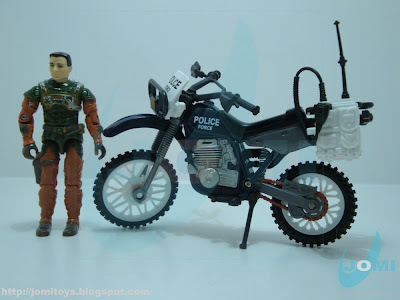 This was actually the first CM model considering Off-Road motorbikes. 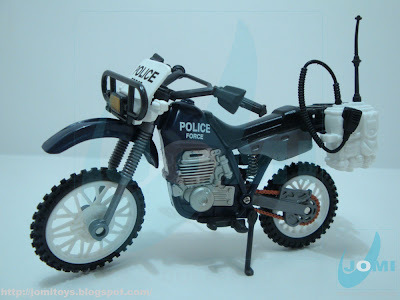 I wouldn´t go as far as dirt bike, but it looks like an old Suzuki DR or Kawasaki KLR or Yamaha XT or Honda XR. The medium weights. Still too big. What a shame. Here, it looks even bigger. Some nice details on a very nice bike. It´s a damn shame about the size. 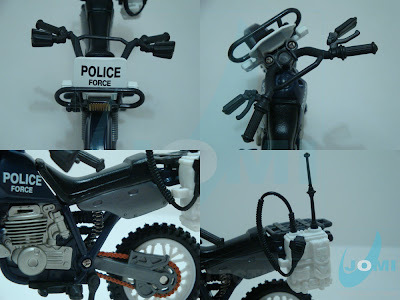 It's a great set, the dirtybike would be of great use for any Police Force, but the acessories are, as all chap mei, oversized.